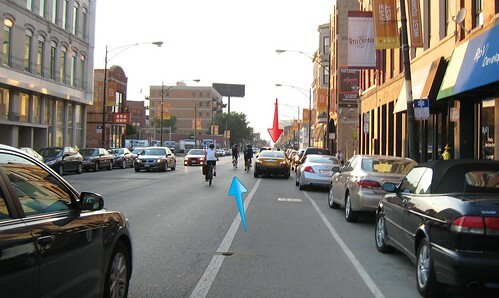 BikeCommuters.com > advocacy > Chicago Bike Backlash? There goes “bike-friendly” if this stuff gets enacted…what ridiculous proposals! I knew nothing about the Tribune article and am hoping it is just sensationalistic, editorial-type manuever. I’m not sure about where this biking backlash is coming from but I would be interested in halting it. 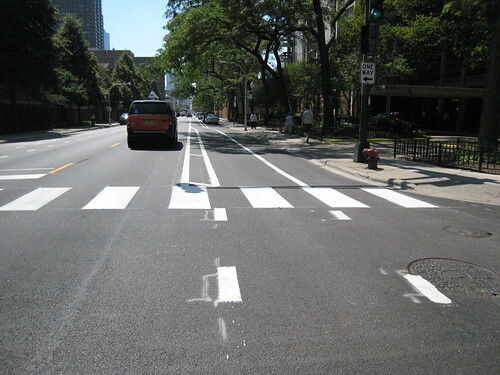 I live in North Chicagoland and part of the reason my family lives here is because it is so bike-friendly. Any suggestions for getting bike-civically-involved? @Suzanne – rest assured, this article is just one journalist’s perspective. 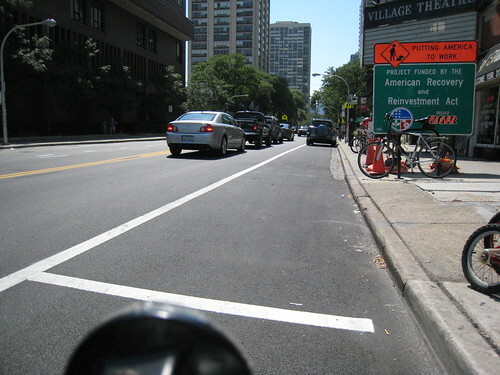 Active Transportation Alliance wrote a great letter in response (also highlighted in this post) and they would be a great organization to start getting involved with; they support biking, walking and transit in Chicago and its suburbs. Plus, plenty of communities have their own bike clubs – some of which do advocacy. Typical conservative logic in their search for equality as they understand it. They have to sit in traffic. They have to pay gas taxes. They have to have a car registration, license and insurance. They feel victimized, and the only way to ease their pain is to inflict the same punishment on others. That the schemes are obvious money-losers creating more “big government” is apparently of no consequence as long as it punishes “them”. My only real comment is to state that the author is delusional if he thinks that stop sign cameras would primarily ticket cyclists. I’m not sure that I have ever ridden with someone… anyone… who did not break at least one traffic law with their car. Traffic violations are nothing more than a dishonest justification given by motorists for the overall contempt they feel for cyclists. Here’s my response: I’m canceling my Chicago Tribune subscription. The last thing this town needs someone who just wants government money to fund streets for single-purpose uses, masquerading as a “conservative”. The key is, as you said, “perceived” backlash. I think the most significant part of Kass’ column was his marginalizing of people who bike, whether it was part of some satire unrelated to biking or not. His “plan” doesn’t warrant any response, but pretending only “elitist” “hipsters” — “one percenters” — use bikes, does warrant a response. It’s part of creating a false story line of “backlash” by “the people.” The most important part of Active Trans’ response was that it was signed by AARP-IL and community organizations. People like Kass might like to think of biking as some privileged activity just for hipster neighborhoods, and that “the people” will rise up against it — but the reality is that all kinds of people ride bikes and want complete streets that are safer for biking and walking. I completely agree, I would prefer bike friendly place too. I think there’s no need for total irradiation of bikes. In fact, bikes are useful in emergency cases like Catherine Baucom, a doctor in Baton Rouge, LA, recently got around a traffic jam by ditching her car in place of a bicycle belonging to the daughter of a friend. Pedaling the pint-size pink bike, she got through traffic and arrived promptly to slice and dice. Thus, Catherine Baucom, surgeon, beats traffic with kiddie bike.